Noteworthy, Bulgarian artist Vladimir Dimitrov Maistor (1 February 1882 – 29 September 1960) became famous both because of his paintings and because of his lifestyle. Thus, even after he became famous, having chosen to live in poverty and asceticism, he gave away all of his possessions and money to poor people. He, in particular, wore old clothes, gave up shaving and preferred only vegetarian food. In fact, many people thought him to be a saint and showed great affection for him even in his lifetime. Born on February 1, 1882 in the village of Frolosh in the present Stankedimitrovsky district, just four years after the liberation of the Bulgarian people from the five-century Turkish yoke. Growing up in a poor peasant family, he learned early of poverty. 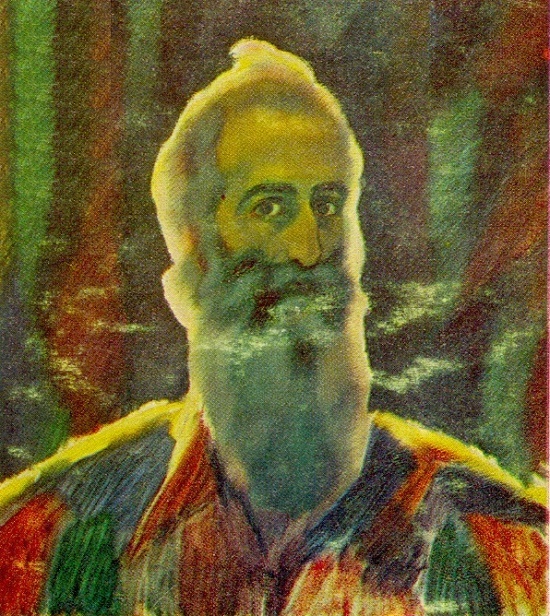 One of his early works is a portrait of his father, created in 1907. All permeated with filial love, executed with picturesque ease, it gives an idea of ​​the impetuous nature and deep observation of a person close to nature. By nature, the spiritual world and temperament, Maistor has much in common with the father. Meanwhile, his father, an inquisitive and gifted man by nature, played several folk musical instruments. Subsequently, his son not only sang in the field with reapers, at weddings and other village festivities, but he himself liked to play the folk string instrument. In the history of Old Russian fine arts this name stands alongside with the names of Andrei Rublev and Dionysius. 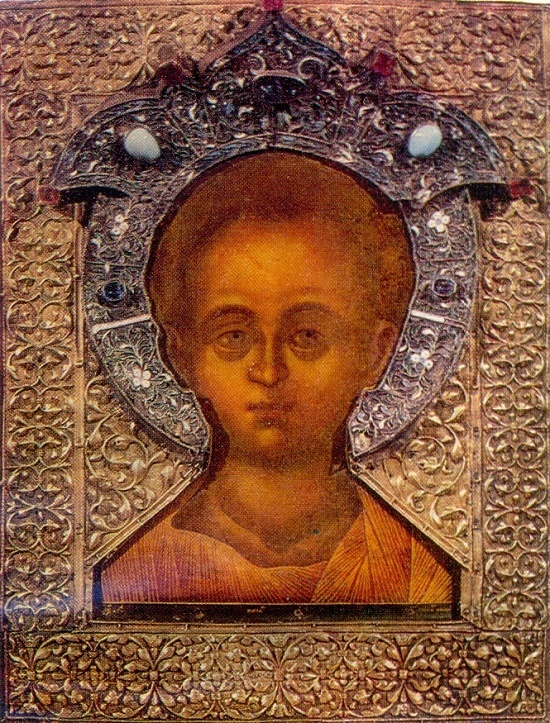 According to GD Filimonov, the author of the first monographic essay on Simon Ushakov (1873), Ushakov was the first to look at icon painting as art. 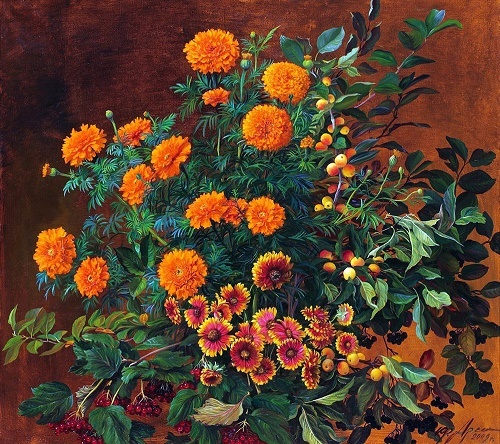 Ushakov was both an educator and, apparently, an able organizer, who for more than thirty years headed the artistic activity of all Russian state. Simon Ushakov demonstrated a new attitude to art and to the artist. It was a broader and freer nature of the world perception, conditioned by the general process of the development of Russian culture. Noteworthy, the biographical information about Simon Ushakov can be compiled from the well-known detailed information in the archives of the Armory Chamber. Thus, according the signatures on some icons, the autographs show that the real name of the artist was Pimen, and Simon is only a nickname. Besides, the inscription of one icon makes it possible to establish that Ushakov was born in 1626, and it is known that he died in 1686. Rubinstein and Scriabin, Tolstoy and Gorky, Mechnikov and Einstein posed for him. He was famous for being a brilliant portraitist and master illustrator. His paintings are in the world’s largest museums and in galleries of hundreds of collectors. However, for many decades the name of Leonid Pasternak was forgotten. Perhaps the genius of his father overshadowed his brilliant son – the poet Boris Pasternak. 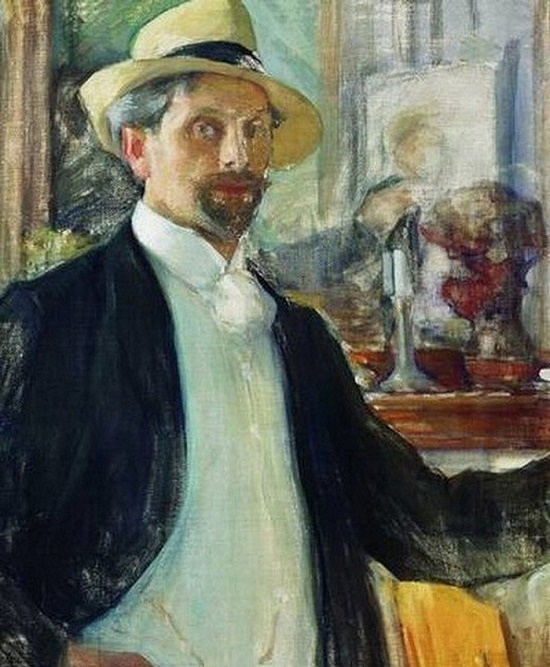 Born in April 1862 in Odessa, Leonid Pasternak was the youngest child in a large Jewish family, one of the oldest and most respected Jewish families, which comes from King David. Apparently, from an excess of feelings, his parents named him just two names – Abram and Isaac. However, the relatives called him exclusively Leonid. On this occasion, the artist even had to write explanations in official institutions. By the way, the name originally sounded not Pasternak, but Posternak. Talented graphic artist, sculptor, and painter Arnold Lakhovsky (aka Aaron Berkovich Lakhovsky) was born in the town of Chernobyl of Russian Empire. 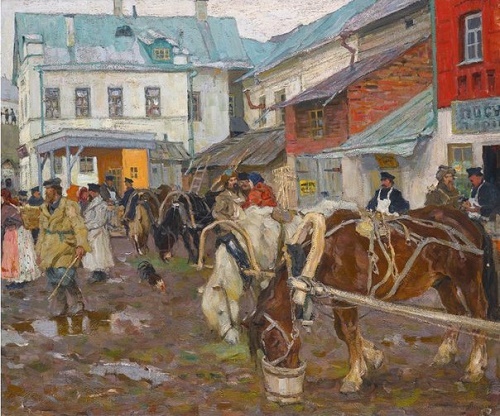 In 1902 he graduated from Odessa Art College, where he studied in the studio of K. Kostandi and G. Ladyzhensky. Then he worked in the work shop of Maro in the Academy of Fine Arts in Munich. In addition, he attended art classes of Slovene realist painter Anton Ažbe (30 May 1862 – 5 or 6 August 1905), and worked in Worms (German city). In 1904 he came to St. Petersburg and entered the Higher Art School at the Imperial Academy of Arts. He studied in the studio of Ilya Repin (1907). Lyubov Nikitovna Arbachakova (nee Tudegesheva) was born, so to speak, at the right time and right place. God giving talents, immediately noticed her, walked straight up to her and gave many – a gift of word, colors and scientific knowledge. All these generous gifts God has combined with the incredible gift of a great soul. 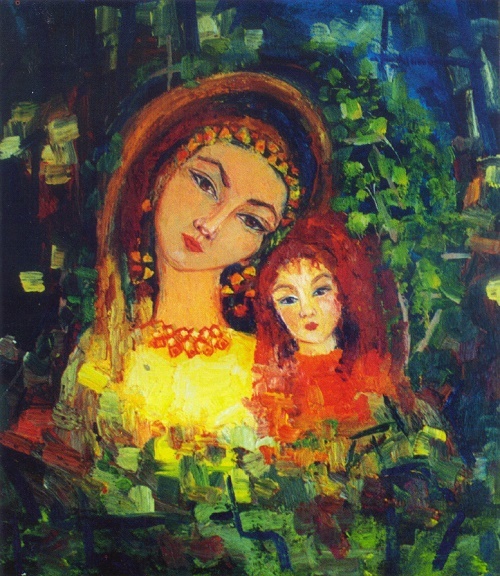 Lyubov Arbachakova – Shor painter and graphic artist, poet, scholar and researcher of Shor heroic epic, candidate of philological sciences, a member of the Union of Artists (2005) and the Union of Russian Writers (1997). She was born May 1, 1963 in the heart of Mountain Shoria: in a small Siberian village of Anzass (Kemerovo region) among amazingly beautiful and majestic mountain taiga. She will carefully and skillfully transfer these colors on her canvases. And these colors produce the expected, and still unexpected effect. According to art critics and viewers of her personal exhibitions, her paintings radiate some kind of extraordinary energy and heat. In China, Rooster is considered the main symbol of the element Yang, and a carrier of many advantages. Male principle bird, Bird of Glory, meaning – vigilance, bravery, courage, foresight, and reliability. Rooster – the messenger of dawn, the sun and the symbol of spiritual rebirth. Rooster – the tenth symbolic animal of the Twelve Earthly Branches (Eastern Zodiac) and in the astrological sense – it corresponds to October, when in the ancient times in China made preparations for war. 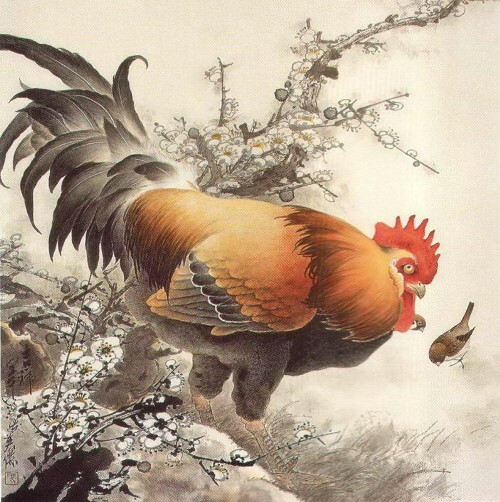 In the work of Chinese contemporary artist working in the style of Guohua, Feng Yingjie roosters take honorable place. The image of the Rooster includes a number of different symbolic meanings reflected in the Chinese literature and philosophy.